When it comes to pampering dry and damaged hair with external protein sources, nothing can really be better than an egg mask. If you have shoulder-length hair with moderate volume, one egg will be enough for you. Crack it open and beat nicely. 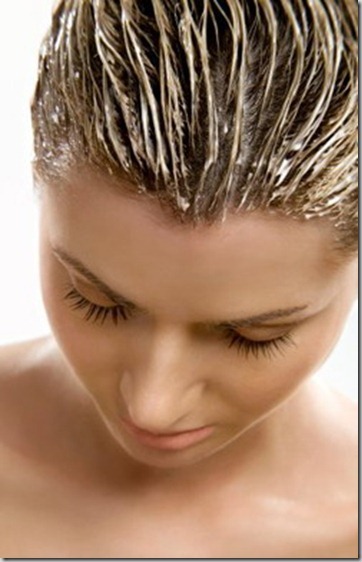 Once it becomes frothy, apply all over the scalp and hair by using a brush and cover the head with a shower cap. Wait for 20 to 25 minutes. Then, rinse off with a mild shampoo and cold water. Being rich in protein and fatty acids, the yolk or yellow part of the egg acts as the ‘active ingredient’ in this treatment. It can moisturize our hair strands efficiently and make each of them stronger internally. Hence, we get healthy and shiny locks. You can follow this treatment twice a month. 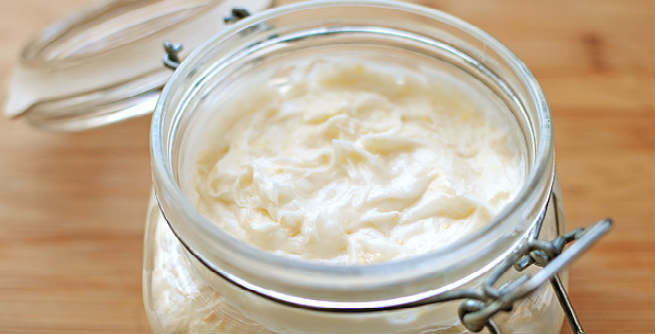 Yogurt and other similar dairy products are loaded with protein components, which make them a great solution for the treatment of dry and damaged hair. Moreover, the lactic acid as well as fatty acid contents of yogurt help in cleansing the scalp and deep conditioning the hair respectively. In order to prepare the mask, you have to take a whole egg in a bowl and beat it properly. Add 3 tablespoons of plain yogurt to it and blend well. You can also replace the yogurt with similar amount of sour cream. Now, apply the mixture to your scalp and hair thoroughly. After 25 to 30 minutes, wash off with a mild shampoo. Following this protein treatment every week will give you the best results. Coconut butter or ‘coconut cream concentrate’ is a fragrant butter cream, which is packed with protein and can increase the benefits of coconut milk to a great extent. You can apply it directly onto your scalp and locks followed by a gentle massage. Or else, simply purchase a good quality deep conditioning mask and mix coconut butter with it. Using this mixture on your hair once a week will help you get rid of dry, rough and frizzy hair easily. Mayonnaise is a common kitchen ingredient that is basically made of egg and oil. Hence, it itself can be considered as a wonderful protein treatment for dry and lifeless hair. On the other hand, avocado is rich in protein as well as amino acids, which provides strength to our hair strands and make them grow faster. You can combine the goodness of both mayonnaise and avocado by blending 2 tablespoons of mayonnaise with a mashed ripe avocado and give your hair an amazing protein treatment. Lastly, here is a highly effective protein treatment for your dry hair that includes 1 tablespoon of sweet almond oil, 2 tablespoons of pure raw honey and the yolk of an egg. Combine all the ingredients nicely and apply all over your scalp and hair. It will not only strengthen your hair but also make it healthy and lustrous.